Not even 24 hours passed after the end of Tuesday's elections before Democratic Florida gubernatorial candidate Andrew Gillum accused rival Ron DeSantis of racism for using a common phrase. 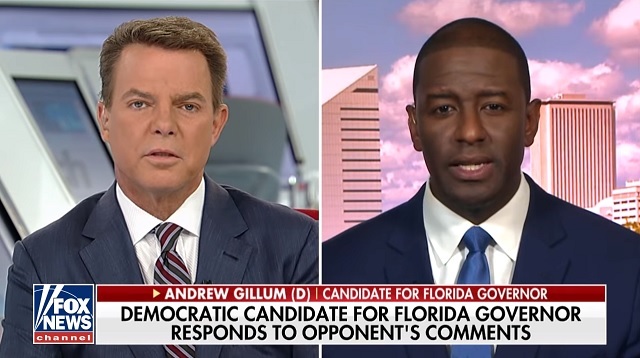 Tuesday night on Fox News, DeSantis said Florida is on the right track under Governor Rick Scott and "the last thing we need to do is to monkey this up by trying to embrace a socialist agenda with huge tax increases and bankrupting the state." The levels of dishonesty are off the charts. "Ron DeSantis was obviously talking about Florida not making the wrong decision to embrace the socialist policies that Andrew Gillum Espouses. To characterize it as anything else is absurd. Florida's economy has been on the move for the last eight years and the last thing we need is a far-left democrat trying to stop our success." Nonetheless, Gillum ran with it on Wednesday and suggested DeSantis' comments weren't merely a "dog whistle" but a "full bullhorn." 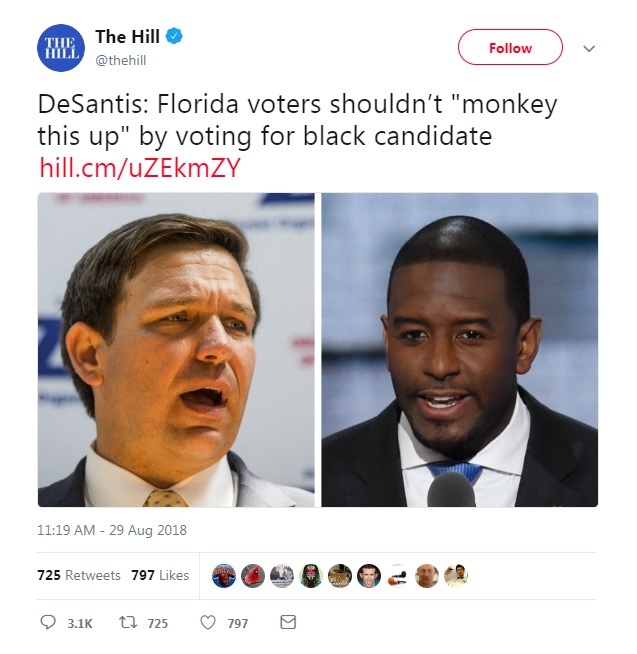 Earlier Wednesday, the chairman of the Florida Democratic Party accused DeSantis of "racist dog whistles." "Well, in the handbook of Donald Trump, they no longer do whistle calls," Gillum said. "They are now using full bullhorns." Gillum, a Bernie Sanders-backed progressive who won Florida's Democratic gubernatorial primary in an upset on Tuesday, accused DeSantis of "taking a page directly from the campaign manual of Donald Trump" and said he believes Florida voters are "sick" of the division from DeSantis. Screaming "racism" is the only play in Democrats' playbook. Hopefully, voters are tired of this garbage.